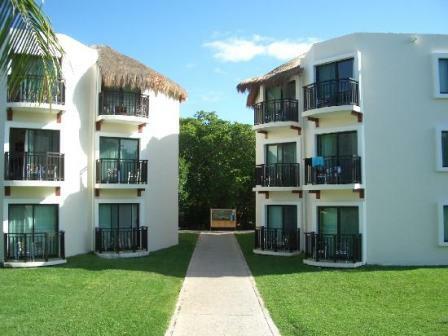 Sandos Caracol Beach Resort is located 15 minutes from Playa del Carmen on the Playacar beach. This larger resort has around 780 rooms that are located in 3 story villas. This beach resort is positioned around a natural exotic jungle that is surrounded with natural mangroves, lagoons and cenotes. A beautiful feel for the natural side of Mexico. 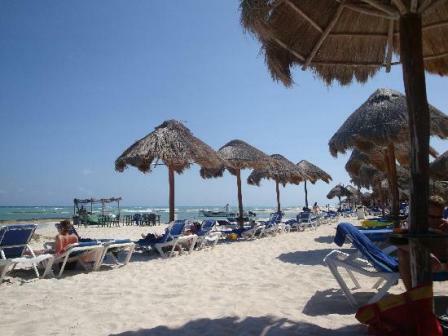 What activities are at the Sandos Caracol? 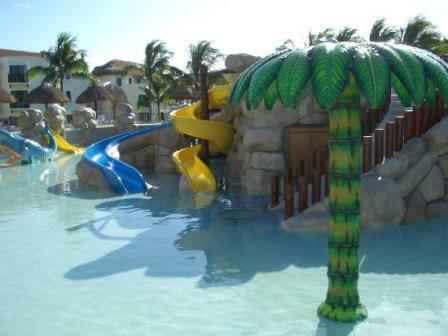 Activities at this resort consist of two gorgeous swimming pool, one that has an area specifically for children. Aqua Park which is a huge water park with 17 water slides and water games. It's great because the whole family can hang out here or just watch the kids play. There is a lifeguard on duty during the open hours (10am-5pm). There is a pool bar for the adults. A full spacious spa which is the perfect relaxing getaway that has 16 top quality treatment, hydrotherapy tubs, steam and sauna room, a gym with spinning room and weight equipment, and of course, massages by the beach under a palapa (those are my favorite). Before your nice massage, you might want to work out those muscles at the two lighted tennis courses, or try out the water sports equipment provided such as windsurfing, kayaking, the hobie cat and boogie boards. There is a family theater and even a disco for you late nighters. The kids club runs from 10am-9pm daily. If you want your kids to have a blast and maybe some time with just your spouse, then you can trust the kids club to take great care of your kids and they will have a blast. 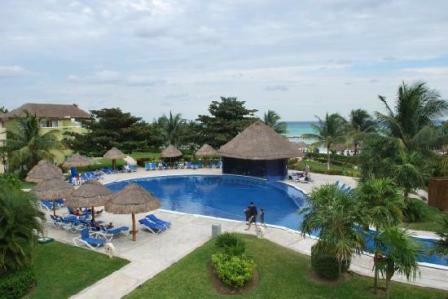 The Sandos Caracol Beach Resort is an all inclusive resort that includes all meals and snacks while you are at the resort. It also includes an unlimited amount of drinks anywhere on the property. All of your activities at the resort are included such as the non motorized water craft, tennis equipment, all shows, live music, tax and gratuities. What restaurants are at the Sandos Caracol? 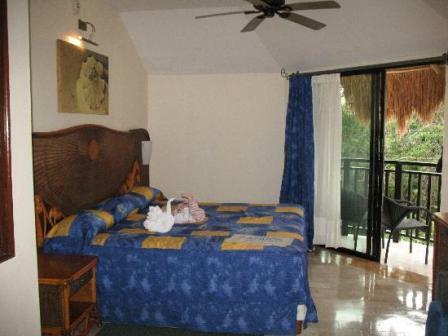 What type of rooms does the Sandos Caracol Beach Resort have? This Caribbean resort has beautiful rooms. Included in each rooms is either two queens or a king size bed, bath and shower, hair dryer, A/C, ceiling fan, alarm clock, telephone, and mini bar with soda, beer and water. You will either have a garden, pool, jungle, or ocean view. Some rooms have a jacuzzi tub and a lovely terrace. When you book just make sure you ask for the specifics you want in a room so you will know what you are getting. If you want to get married at this resort, you can!!! They can help you set up the details to have a gorgeous Caribbean wedding overlooking this breathtaking Sea and right in the middle of the Riviera Maya. There are several different packages starting at $300. 1)Set your dinner reservations first thing in the morning or you may not get one. 2)Some guests rated this more as a 3 1/2 star to a 4 star, but a great hotel for the price.